This week, Nintendo Switch beats out the competition, Machinima’s YouTube page becomes private, and BioWare’s Anthem goes gold. Nintendo Switch Becomes the Highest Selling Console of 2018 in U.S. According to a December 2018 report by industry-tracking firm The NPD Group, the Nintendo Switch overtook PlayStation 4 as the best-selling console of 2018 in the US. Additionally, the Switch earned the highest annual sales for any hardware platform since PS4 broke the previous record in 2015. 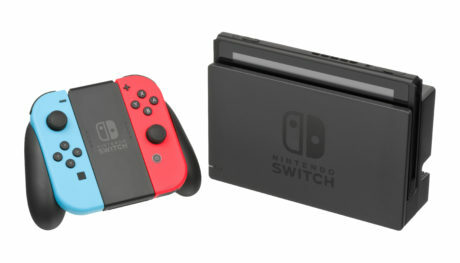 Some media pushed the news as a devastating defeat for Sony and Microsoft, including a writer at Forbes who headlined their article, “The Nintendo Switch Smashed The PS4 And Xbox One To Pieces In 2018.” Wired’s headline stated, “Nintendo Switch Had The Best Holiday Ever.” The news was also reported by IGN, Gamespot, Digital Trends, and more. BioWare has confirmed its upcoming sci-fi shooter Anthem has gone gold, which means the game’s development is complete. Anthem is slated to release on February 22. In addition to finishing development, BioWare has announced a new feature involving a 16-person social hub in the game where players can socialize. The news saw coverage from most gaming and geek sites including PushSquare, SlashGear, COG Connected, Comicbook.com, and more.